With an 8.5” (diagonally measured) high-resolution touch-screen color display and a powerful 800 MHz multi-tasking controller, the MX-M753U Hi-speed workgroup document systems can help elevate your customer’s productivity to the next level. Intuitive menu navigation with razor-sharp graphics also make operating the MX simpler and easier than ever before. 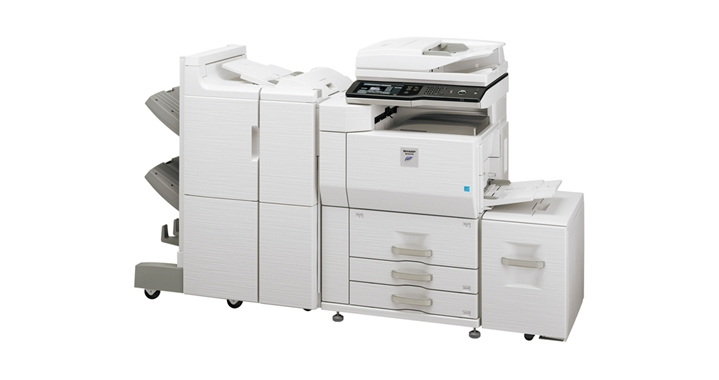 With Sharp’s 800 MHz true multi-tasking controller, complex print jobs can be processed quickly, even while documents are being scanned. But that’s just the beginning–with a standard 150-sheet duplexing single pass document feeder using Sharp’s Scan2 technology, your customers can complete even large jobs in a snap.